Hi friends. I'm Gourab Das. I welcome everyone to my website Gourab Design. All the tips that I will tell today will be of great benefit to everyone.Friends you have a website. And you do a lot to rank it every day. 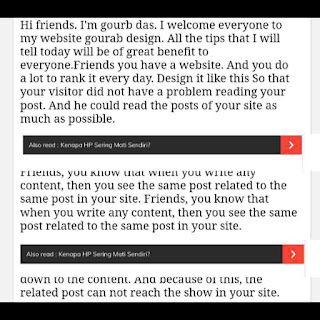 Design it like this So that your visitor did not have a problem reading your post. And he could read the posts of your site as much as possible. 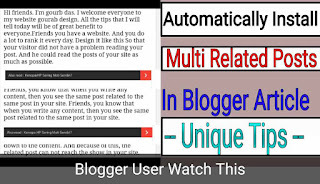 Todays Topic we are discussing How To Install Multi Related Articles In Blogger Blog Posts . Friends, you know that when you write any content, then you see the same post related to the same post in your site. Friends, you know that when you write any content, then you see the same post related to the same post in your site. Its largest region is that Visitors now do not read the entire content. Because of which he does not go down to the content. 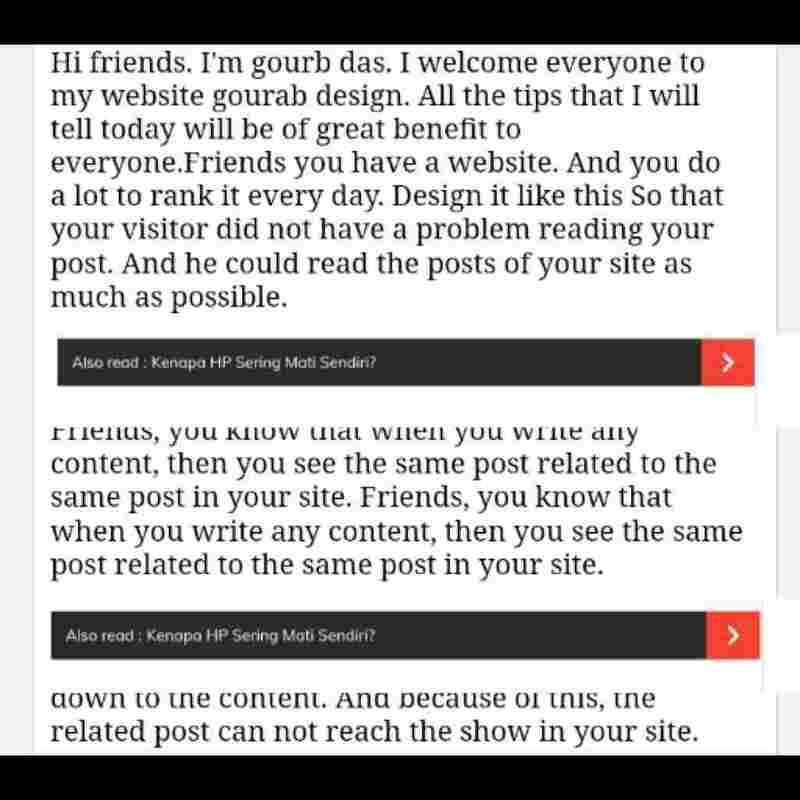 And because of this, the related post can not reach the show in your site. 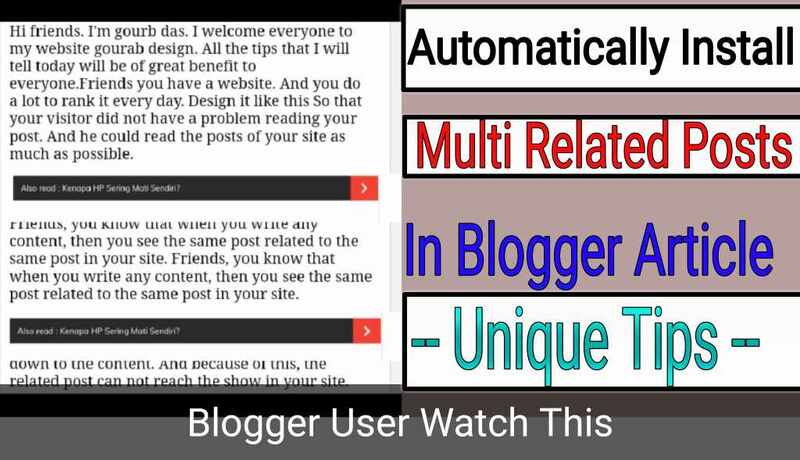 I will give you tips that you can use to automatically show the post link in 4 places in all your posts. So let's start now. And tell you how to add it. First of all I am giving an image below. Look at this photo. This way you will appear in all your content. ✓ Now simply click the theme Option. ✓ Now a search box will open in front of you. ✓ Now search within this box </head> tag. ✍️ jumla = 4 :- Change number 4 to determine the number of content that display . FINALLY SAVE TEMPLATE......... 😉 Now you visit your site. And check this will tune the work. So friends, I hope you all liked this tip. If the answer is yes, then share it in social media..... Thank you.